My first insight into these was with a cleanse. I was in the midst of my certification training and felt that I should partake in a cleanse because everyone seemed to be talking about them and I wanted to know what to tell my clients if they asked. I found one called the Conscious Cleanse that meshed very nicely with my training. There are all kinds of different cleanses, but this one felt right to me, so that’s the one I went with. It’s a 14-day cleanse that focuses on avoiding some of the most common culprits of food allergies and sensitivities: dairy, wheat, sugar except for honey and maple syrup, eggs, tomatoes, potatoes, beef, pork, shellfish, citrus except for lemons, white rice, and strawberries are some of the main ones. While this may seem quite limiting, it’s a great way to give your digestive system a reset. The weekends consisted of just fruits and veggies and liquid foods such as broth. This is even easier for your system to digest, and lets it detoxify further. I liked the Conscious Cleanse because it offered a support system (that you do have to pay for), which can be quite helpful if you feel like giving up or just if you’re having a difficult time; you have someone to offer guidance. Or you can just get the book of the same name and follow along at your own pace. I liked that it includes all areas of your life, not just food. 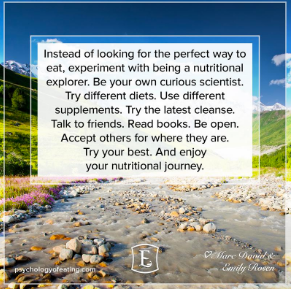 For instance, they talk about de-cluttering your pantry and then other areas of your life -- a lot of the time, our relationship with food mirrors our relationships elsewhere, and this cleanse zeroes in on that in a healthy, easy to approach way. The second weekend of the Conscious Cleanse gives you the option of doing a juice cleanse, which I decided to do. Although the place I got my juices from is no longer in business, there are plenty of options online. Cold-pressed is the best option as it’s fresh and minimally processed. I know Target offers a lot of options, as well. There are generally four juices per day, ending with an almond milk for a dose of healthy fats. As I mentioned before, drinking only juices allows your body to rest and reset. It can also be very detoxifying for most of us, as our usual diets can cause build-up in our systems. This can be uncomfortable, and can range from cold-like symptoms to headaches to being on the toilet quite a bit. As not-fun as this might sound, these detox symptoms are actually showing you that it needed to be done, and they usually only last a day or two. My most recent experience was with an elimination diet. This is very like the Conscious Cleanse, but lasts for 21 days and then focuses on reintroducing the food groups to see how your body reacts. This a very intense process, but I’m so glad I did it. The first time I did a cleanse, I was focused solely on the food. For my elimination, I focused on everything! I was able to see how I was triggered to eat foods that were off the plate, usually because I was stressed. It was extremely liberating, and by the end I was the best version of myself: I could actually breathe through my nose (which I have never been able to do), I lost my baby pooch (evidently I was more inflamed than I realized), my brain was quick and inventive, I woke up feeling energized and ready to go, I felt more at home in my body than I have in a long time, and I also felt more open -- to life, to new experiences, and to being in the present moment. It was quite eye-opening. The reintroduction was also very useful because I discovered a couple of food groups that I didn’t realize I had a sensitivity to, which will help me make the best choices for myself going forward. While on my elimination diet, I did supplement with Optimoxx, a 28-day supplement made solely from foods that is supposed to help with detoxifying your kidneys, colon, lymph system and liver. I thought this would be a good time to experiment, and I was pleasantly surprised. It’s a very gentle system, and I felt that it helped my detox symptoms remain minimal throughout my elimination diet. I’ve never tried it alone, but if you don’t have the time or just don’t feel ready for a full-on cleanse or elimination, I think this would be a great option. Now, I had good overall experiences with each of these, but it’s also important not to get sucked into a diet mentality: you obsess over what to eat, what effect foods are going to have on you, you cannot eat “x” food because of “y” reason, etc. Being in the right headspace is important as well. I mentally and physically prepared for my experiments, as I like to call them, ahead of time and felt very ready beforehand. In contrast, my husband tried to do the elimination diet with me for support, but it wasn’t really something he was prepared for, and it made all the difference -- he only participated for about a week. He still learned from the experience, but it was vastly different from mine due to our differing levels of preparation. Overall, if you feel like any of these are something you’d like to explore, do some research, get ready, and go for it! So long as you go into it open-minded, you’re bound to learn something new about yourself. And if you’d like one-on-one guidance, feel free to contact me for a free 60-minute discovery session. How about you? Have you ever tried any of these? How did it go for you? Until next time!